Crochet makes surprisingly nice rugs. Included are free crochet rug pattern links from all over the web. 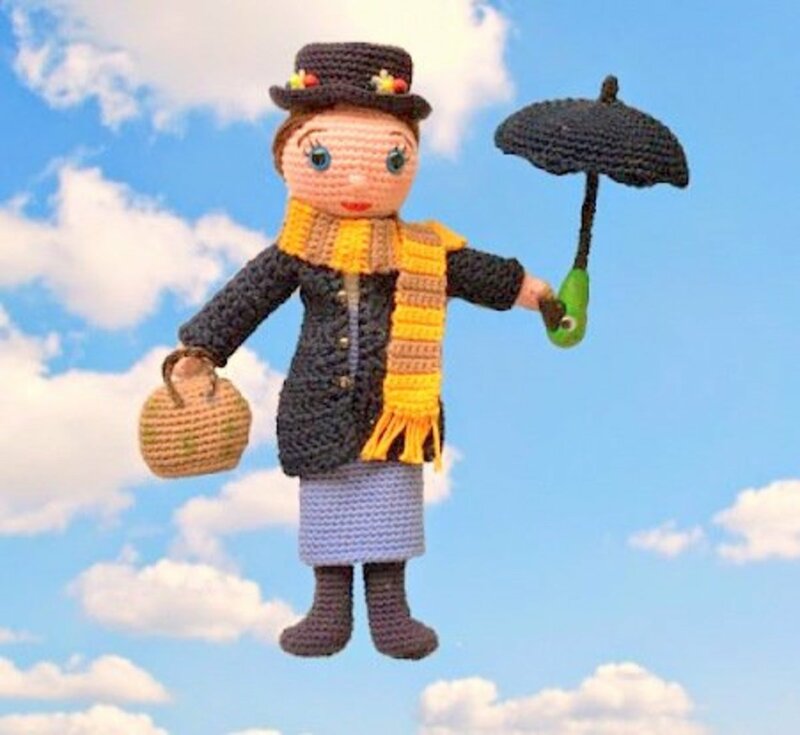 Many are crocheted with rug yarn and others are crocheted with strips of cloth. Regular 4-ply yarn is also used. Use these rugs in the bathroom, kitchen and in front of the hearth. Even a doormat is included. Several links are for vintage rag rugs too. 9 Sided Kitchen Mat - This project was created with 2 colors of worsted weight yarn and a size G hook. The rug is worked in stripes. She used acrylic yarn rather than cotton, because she says it will dry out faster if the rug gets wet. You could use either type of yarn. 41 Rugs - Free Vintage Crochet offers the patterns on this site. You are sure to find one that you like. 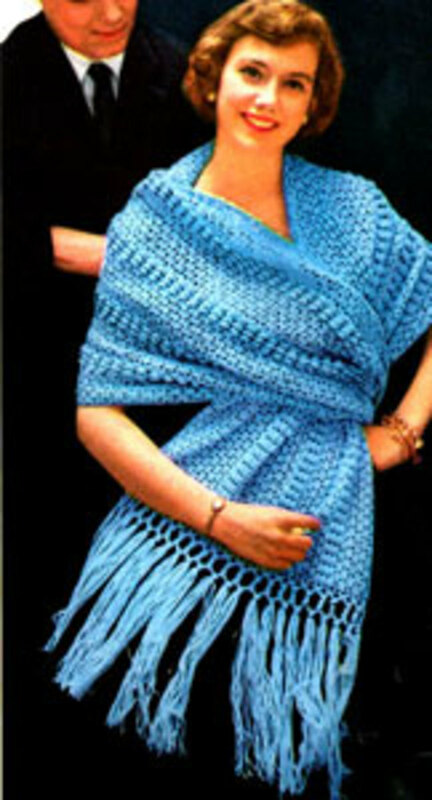 Accent -The pattern is offered by Crochet'n More. Bernat Baby Coordinates yarn and Red Heart Super Saver yarn were used in this project. You'll also need a size K hook to complete the rectangular rug. Bathroom - This is a free vintage rug pattern for the bathroom. It could be used for any room though. See the photo. 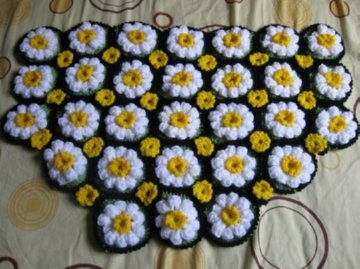 Daisy - This crocheted rug is different, because each daisy is crocheted and then they are joined together. to complete the project, you'll need 4 skeins of medium weight yarn and a size H hook. The rug is beautiful. 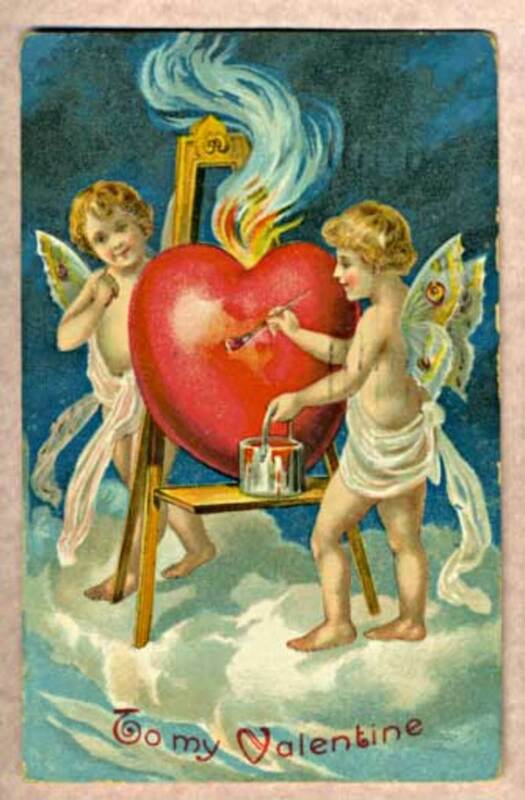 See the photo above. The design is offered by Meladora's Creations.. This very practical rug is crocheted with 4 strands of 4-ply worsted weight yarn held together and a size N hook. The rug would look nice anywhere in the home. She used Darice Jute yarn to create the doormat. I would rate the pattern Easy and I think almost anyone could crochet it. The mat is shaped in a rectangle. This is a beautiful rug that would look nice in a bathroom. 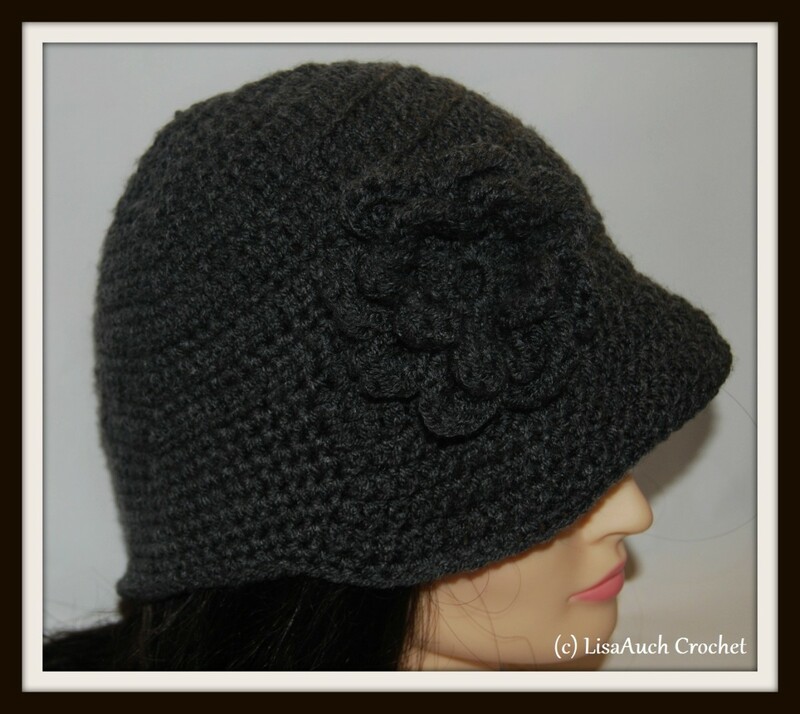 It has a pretty flower right in the center and is created with worsted weight yarn. You'll need to scroll down and then download the free pattern. This project is created with pineapple motifs. 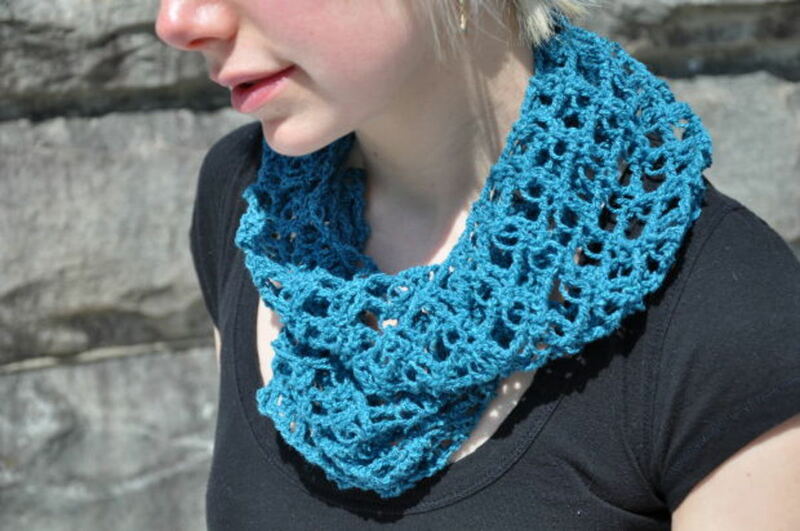 You'll need worsted weight yarn and a size J hook. The rug is extra nice. The rug was inspired by ocean waves and is created in different shades of blue. Lion Brand Cotton Ease yarn was used to create this unique design. You also need a size I hook. Pretty flowers decorate the center of this rug. This is rectangular and when finished measures 28 inches by 31 inches. The rug is created with worsted weight yarn and a size H crochet hook. Loop Rectangle Rug is designed with Red Heart Kids yarn and a size H hook. The yarn gives it a pretty variegated look. This rug looks like a shag. Caron Simply soft yarn was used in the project and a size H hook. Included are photos to guide you every step of the way to teach you the loop stitch. The project was designed for a teen's dorm room, but it would look nice anywhere. This is a pretty rectangular rug that even a beginner can crochet. You'll need Red Heart Eco-blend Cotton yarn and a size J hook. 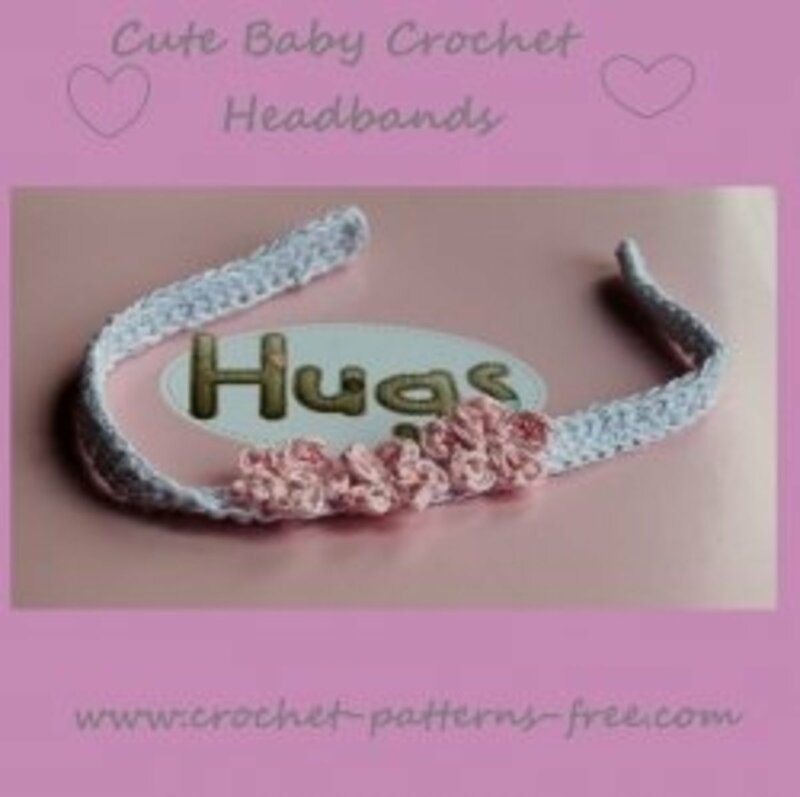 Find more free crochet patterns for all sorts of rugs.. 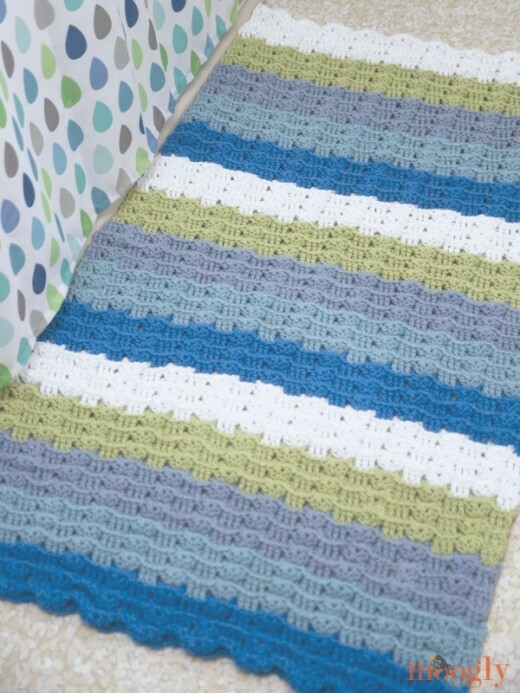 The ridges in this rug are created by crocheting in the back loop only. You'll need a medium weight yarn and a size K hook. 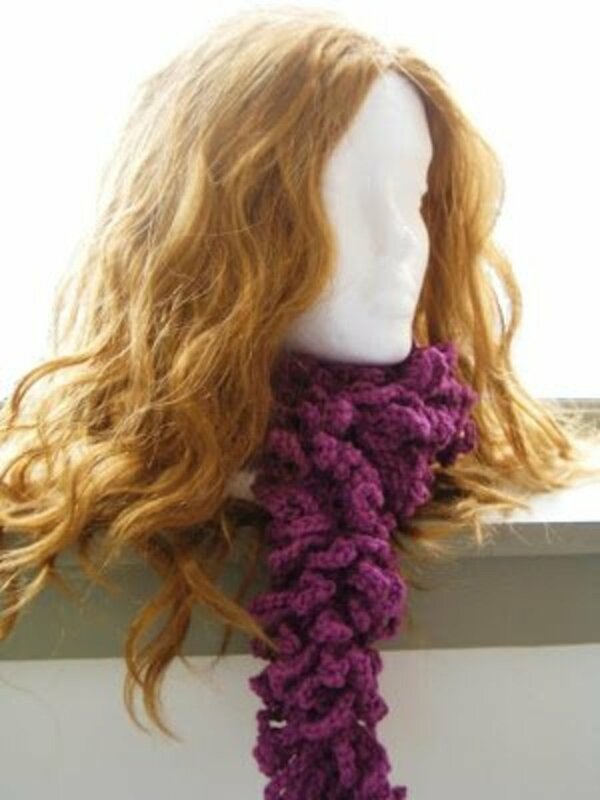 The project is rated Beginner, so is easy to crochet. This rustic rug pattern is an Australian pattern. The rug is rectangular and you will need 4 colors of worsted weight yarn and a size G hook. Diana, They do last for years. I had a neighbor lady in her 70's that made them when she was first married and they were still in good condition. Thanks for sharing memories of your Grandmother. My grandmother's favorite hobby was making crocheted rag rugs. These are treasures we have to remember her by. I'm so glad she made them for us. WOW!! I'm so-o impressed that you answered so quickly!! Thank you so much for the suggestion. Ilove the kitchen wedges as mine is so small. Will check out the site you gave and thanks again!! You're the BESTEST!! I think if you used a thick yarn and crocheted the half circle, you'd get the hang of how to increase to make it bigger. I loved looking thru this site - but I'm searching for a 'wedge' or half circle rug for in the kitchen in front of the sink. Not having much luck :-( any suggestions? PWalker, Thanks for visiting the hub and thanks for sharing and rating it up. Lucy, Your right. I had a neighbor lady that used one at her back door. I asked if she made it and she said it was about 30 years old. She crocheted it from rags. So they must last for next to forever. Flickr, Cardisa, and The Finance Hub, Thanks to all of you for commenting. Have fun making your own rug. I love this concept. And just be tossed in the washer when needed. Wow, lots of rug patterns here. 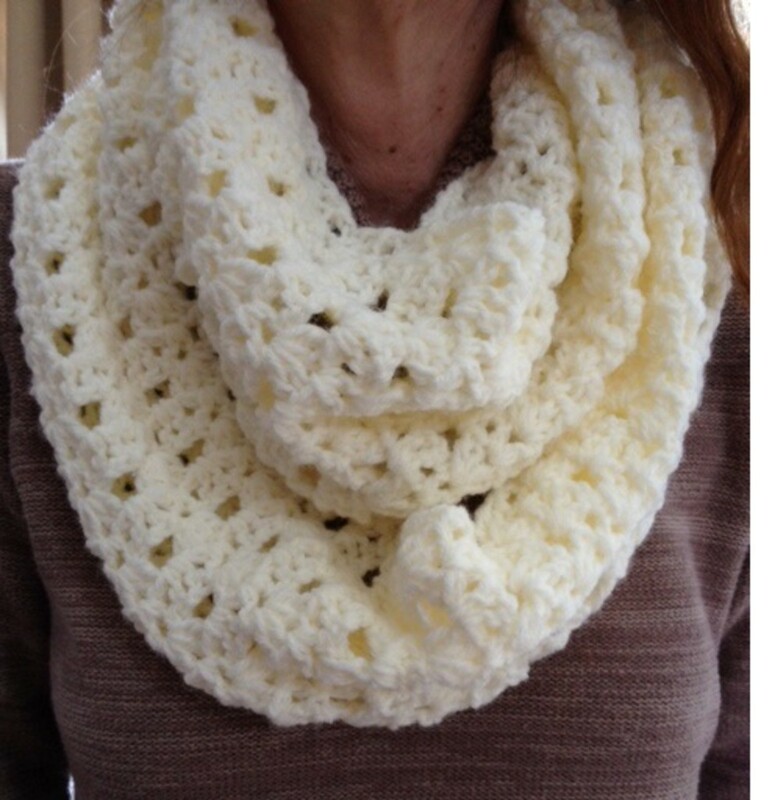 I shared this on Reddit because a new crocheter was asking for advice on how to make them. So you may see a spike in your views. I've seen rag rugs but never knew exactly how they were made. Now I have some patterns to look at. Thanks for sharing. I learned to crochet by watching my mom but I need to practice to get better. cool, ive always like rag rugs. thanks for sharing. TamCor, You'll find some here. Thanks for visiting.